How to choose the right SQL Online Test for hiring? Hospitals, hotels, banks, retailers, airlines, app development companies, government and any organization need to organize all the information that are relevant to run their daily operations. From global banks to small town shop everybody need to have a database, almost all of which are managed using SQL. Every person with access to technology eventually touches something of SQL. It’s no wonder SQL skills count among the most desired IT skills. To know more about this, Interview Mocha recently surveyed a bunch of its US customers to know the how they found our SQL tests. Interview Mocha also leveraged SQL job postings and data from the usage of our SQL skills assessments to analyze the demand for SQL developers and skills for the same. 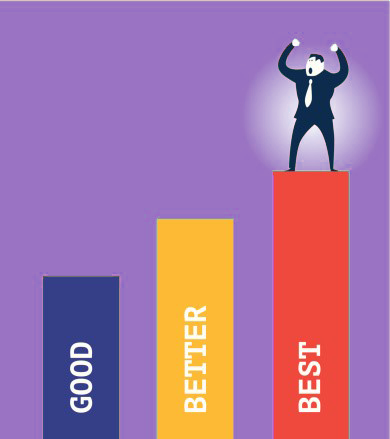 Here we present the findings of our survey that will help you to hire your next best SQL developer. SQL is the most in demand skill in the US, paying almost $70,217. SQL consistently ranks top in-demand IT skills of 2016. 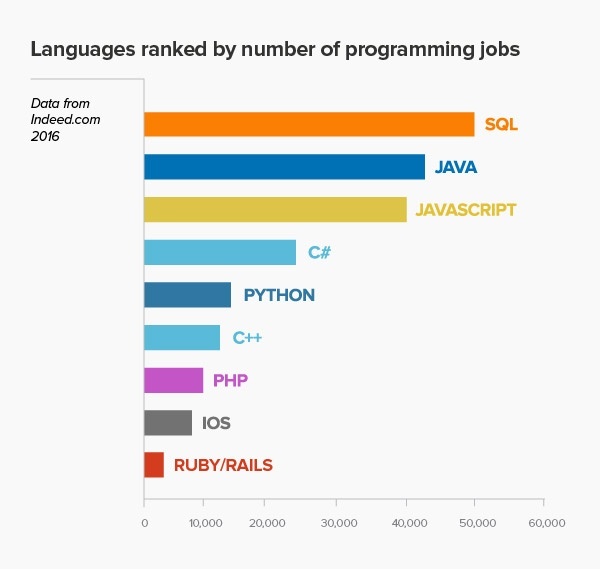 Dice and Indeed have placed SQL as the most in-demand programming jobs of 2016. 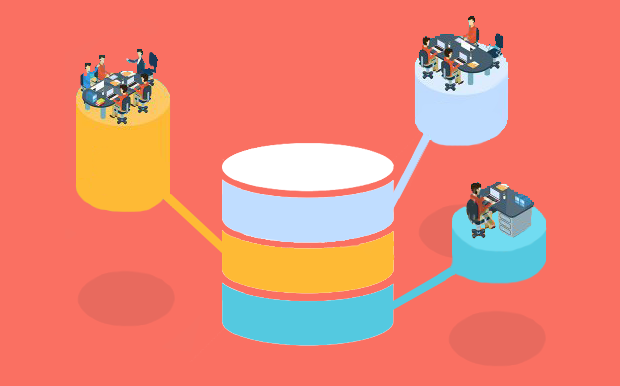 Companies want to manage their huge data, and this has consecutively created a high demand for SQL administrators and developers with the needed skills. SQL will be among the most desirable job skills in the years ahead. While conducting the survey Interview Mocha found that the demand for SQL skills is strongest across the span of information technology careers that includes the business analyst, data analyst, computer programmer or IT manager. SQL is definitely gaining ground in the Information Technology industry and the future looks promising. What our Customers are using? Companies trust Interview Mocha when it comes to pre-employment skill testing. As a leading provider of pre-employment skills assessments, Interview Mocha efforts toward helping hiring managers to quickly conduct the pre-hire screening for SQL developers. Interview Mocha continuously provides latest and updated technology tests to its users. Interview Mocha's customers across the globe are using various SQL online tests along with the hiring analytics. 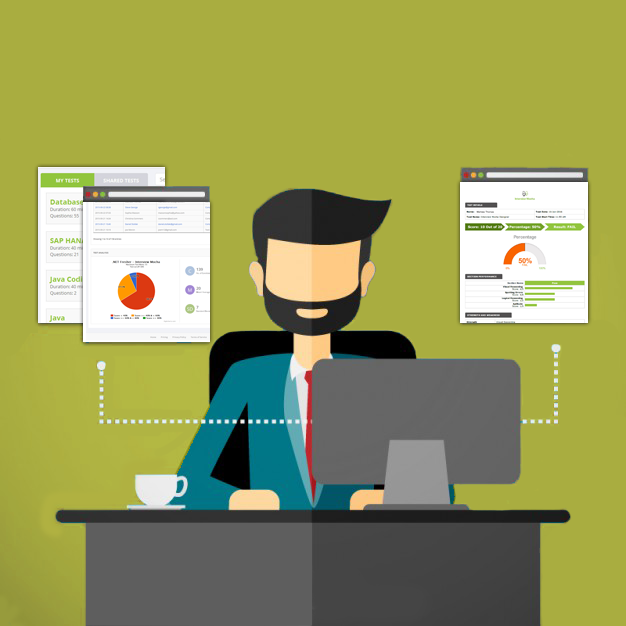 With hiring analytics, it is now possible for the companies to measure and track the metrics that help them to hire efficiently. These SQL tests are sometimes customized according to the job role of the company. Many companies also use Interview Mocha for assessing the existing skill sets, they identify places where current employees may benefit from additional training based on Interview Mocha's score. Companies have already begun expanding Interview Mocha across other teams and geographies within their organization. They have seen the tool's impact on their hiring process through lower costs, hours saved, and quality of hires. How Interview Mocha’s SQL tests have helped companies hiring great developers? Interview Mocha’s aim is to make initial screening easy and fast. Many companies have seen positive impacts in their hiring process using Interview Mocha quality and updated SQL assessments. 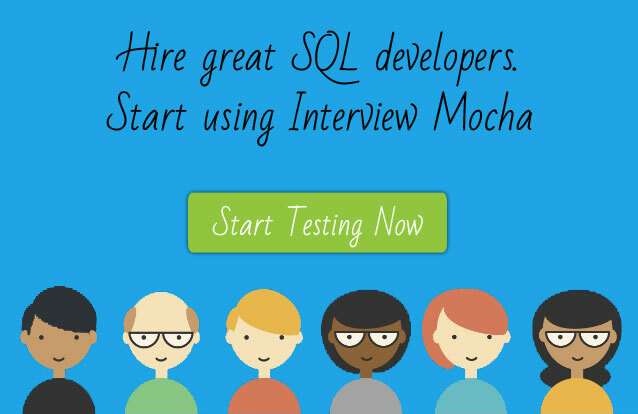 Increased Conversion ratio - With Interview Mocha’s SQL assessments companies are now able to screen a double number of developers. The conversion ratio in the face to face interviews has increased by 70%. The calculation is simple, if previously companies were screening 2 candidates out of 10, now they are able to screen 4 to 5 candidates. And, now they spend time in assessing if the candidate will be a good fit for the organization. Easy Filtering of candidates - With Interview Mocha SQL assessments, companies are able to disqualify 60% of phase one candidates, which greatly reduced the number of overall candidates who needed phase two reviews. Ready-to-use latest and updated tests - Interview Mocha’s provides a balanced mix of theory and practical questions so that an employer can easily evaluate candidate’s knowledge on various concepts and coding too. The latest ready to use SQL tests have helped our customers to evaluate candidates working skills in SQL. And, our framework wise tests that are created by our subject matter experts have helped companies to understand the stronger and weaker areas of candidates. Customization of Tests - Most of the Interview Mocha’s customers look for customized tests. 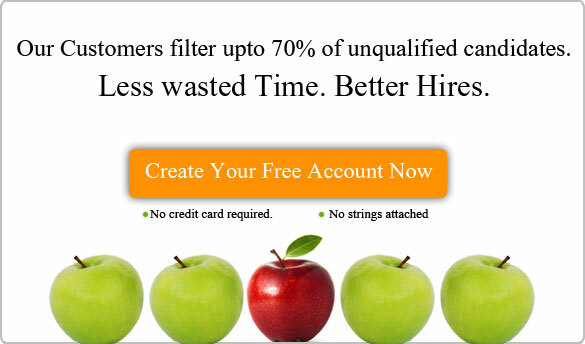 The customized tests are created keeping in mind the job role the company is hiring for. This provides a greater flexibility and reduces the time of recruiting team involved in tests creation. Reduction in time to fill - Time-to-fill was significantly shortened, which meant that they could qualify talent faster. Complete Test Analysis - Interview Mocha Analytics offers a set of integrated data and hiring analytics, reports designed specifically for the needs of hiring managers and recruiters. It all starts with understanding the skill test at the moment — getting the right insights and then making right hiring decisions. Interview Mocha cares about the quality and importance of the analytics that you are hiring. Therefore, we make sure that you are guided in the process of selection of such. How to choose right SQL skill assessments? Skill assessments should not be "one size fits all" type. For every job role, there should be a customized assessments based on your needs, preferences, and position within the company. Selecting an appropriate assessment system is critical to the success of building a high-quality team. You can make use of Interview Mocha’s well designed SQL assessment tests to evaluate candidate’s practical knowledge. You can choose from a variety of tests that are well designed to quantify and assess skills of SQL developers and spend time interviewing only the relevant candidates. You can find below the relevant tests according to the specific job roles. Database SQL Fundamental assessment test – You can use this SQL skills test which includes questions on the concepts like Data Modelling, SQL Basics, PL/SQL, and DBMS concepts. Microsoft SQL Server 2012 Developer Test – The MS SQL Server Developer test contains meaningful questions on the concepts Table-Valued Functions, Extended Events, Refactoring Requirements and XML Data. For Entry level (0-2) - The MS SQL test is been designed to assess the candidate in the area of SQL Server Development, SQL Queries, Performance Tuning, Oracle, MySQL, and DBMS concepts. For Experienced (2-4)- The MS SQL Online test contains meaningful questions on Transact SQL Statement, Stored Procedure, SQL Server 2008, Truncate Statements, triggers. PostgreSQL Assessment Test - The Postgresql online test consists of meaningful questions on SQL Statements, transactions, PostgreSQL commands, PostgreSQL, and relational data model and is validated by Subject Matter Experts. MS SQL Server 2005/2008 Assessment Test - The SQL Server 2008 online test has been designed and developed to help employers and recruiters evaluate Structured Query Language knowledge of candidates. The test contains meaningful questions on Database Management, MS SQL Server, SQL Queries. MySQL Assessment Test - The MySQL online test has been designed in order to evaluate SQL knowledge of the developers and to achieve this, the test contains meaningful questions on INFORMATION_SCHEMA, Triggers, Security, MySQL Cluster, MySQL Data type, MySQL tables, and indexes so that it can help for proper assessment. MySQL DBA Assessment Test - The SQL server online test contains meaningful questions on Data warehousing, MySQL, Shell Programming, and DBA so that it can help for proper assessment. You can also assess the candidates for SSRS and SSIS frameworks by using the following tests. SSRS 2008 assessment – The SSRS assessment to assess SSRS skills of candidates contains questions on following topics SSRS Security Management, Reporting Service Tools, Report Configuration, Internet Information Services, and Report server Database. SSIS 2008 assessment – The SSIS online test is specially designed to check application, practical skills of an SSIS developer as per Industry Standards. The SSIS test contains questions on SSIS Packages, BI Development Studio, Data Flow Task and Components, and Database Configuration. If this sounds awesome to you, then buckle up and start testing your candidates with valid and reliable SQL online tests. Do you receive resumes on your website career page?